This is a style I did on Keyanna in summer 2010, I didn't have a style in mind when I started but this is what we ended up with. I loved it, she loved it, and we got tons of compliments. We got about 2 and a half weeks out of it before I took it down. 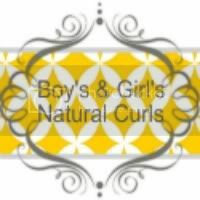 -I began by parting her hair down the middle and tying off the left side. 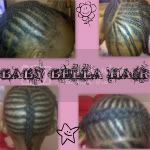 -Then I started braiding the cornrows diagonally, going towards the top of her head. I did about 7-8 braids, and ended right below her ear. 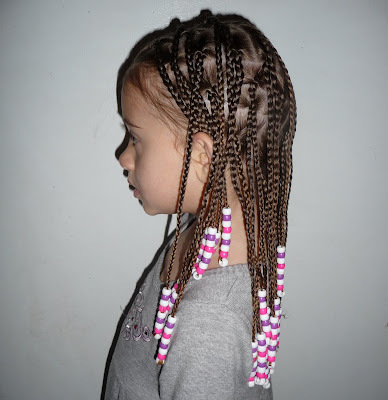 -After finishing the cornrows I untied the loose hair and began parting and doing box braids. 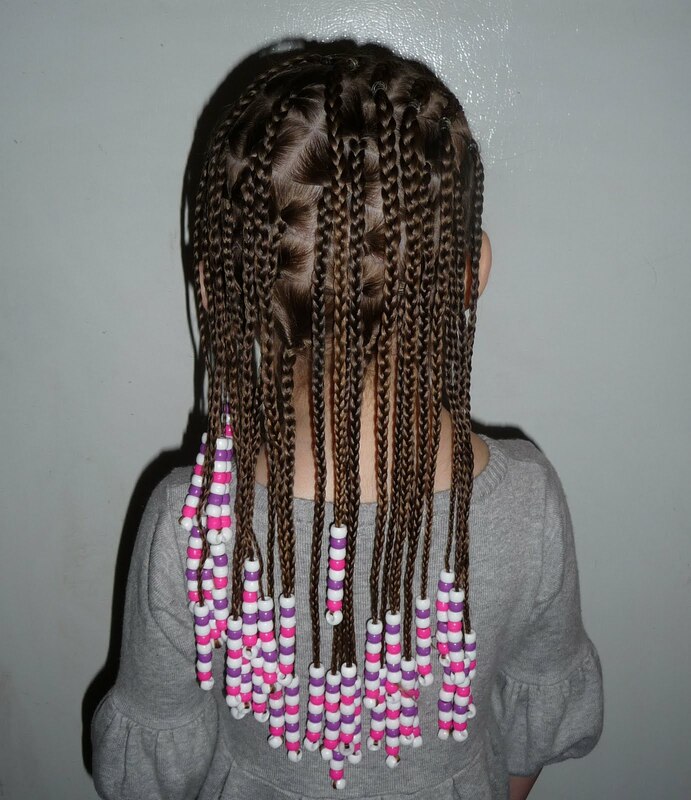 And finally, ended the style by adding beads to the ends of all the braids. -This style took about 1.5 hrs. Absolutely beautiful! I have a question about this style. Did you part her hair all the way back in a half for the cornrows? 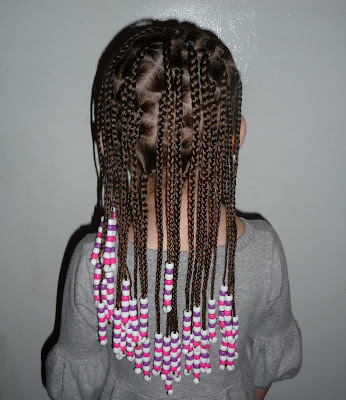 Or did you cornrow only a quarter of her hair? Hey Dominique!, I only cornrowed about a quarter of her hair for this style. Yes indeed!! TOO FLY!!! Love it~!